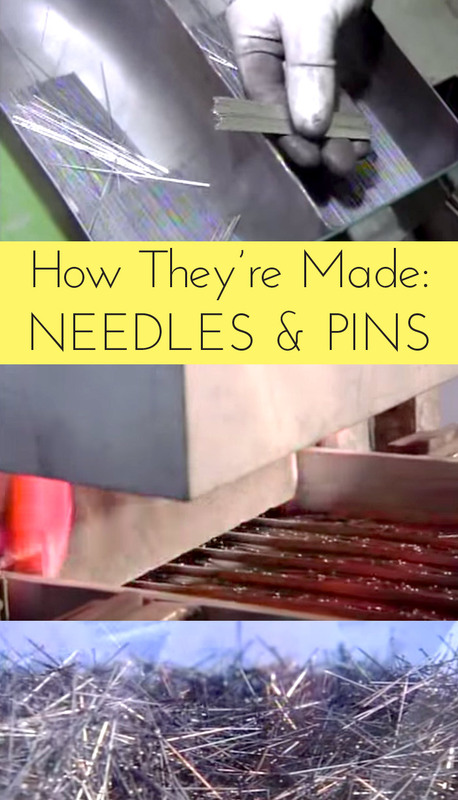 Have you ever wondered how needles and pins are made? This video shows you all of the steps, and there are a LOT of steps! Steel wire, flying sparks, straighteners, cutters, shaking chutes, grinding wheels, flattening stamps, eye punchers, more fire, cooling, glycerine oil, polishing powder, THEN they get sewn up in bundles to spin in a machine for 2 DAYS! Makes you want to make the most of the needles you have – they’ve worked hard even before they’ve gotten to you!